I attended Scale Model World 2014 on behalf of the KitMaker Network and I should start by saying what a good job the organisers of this year’s show did. I wanted to say that as without the people in the background this event would not take place and I suspect that the staff rarely get a mention. This year I decided to do things a little differently and concentrate on the exhibitors and I let my daughter take pictures of models that caught her eye. I unfortunately fell ill while at the event and had to leave sooner than I had intended. This means that this is shorter than I had intended and there are less images than intended, and I can only apologise for that. 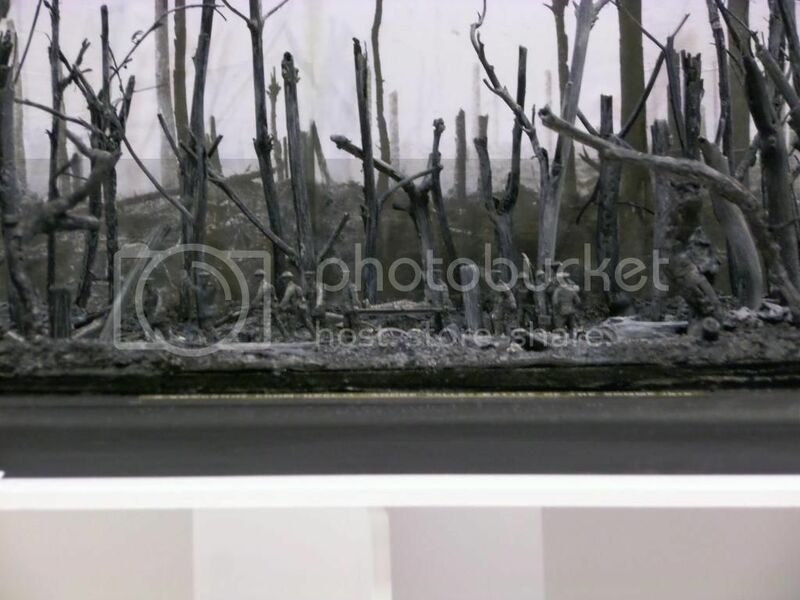 One company at this event that really caught my eye and got the creative juices flowing was Magic Scale Modeling from Belgium, there stand had a burning house, two 1/35th scale figures around a lit brazier and one smoking a pipe, a 1/35th scale figure welding a jeep, and a space ship. The effect obtained by the two figures around the brazier and the figure using the welder were fantastic, and the figures around the brazier also portrayed the cold and heat to great effect. I had an enjoyable chat with the owner of Treemendus, RP Toolz and Pinnacle Modelling, All of these companies seemed to be doing a roaring trade. One aspect of this event that I really enjoy is meeting the people behind the products I use and also meeting the people who are members of the KitMaker Network. I suppose this event allows you to get out of it what you want to get. For me a must is going to the British Bulldogs bench and giving Andy Brazier and Keith Forsyth a hard time. One other thing I have come to know is that wherever the Bulldogs are Mal Mayfield will not be fair away selling his masks, and I have to keep pestering him to release some masks for the armour modellers out there. Armor??!! Aircraft -NON NAVAL Aircraft??!! Here??!! That said, I really like the Harrier display and the wonderful finish on the Wessex. 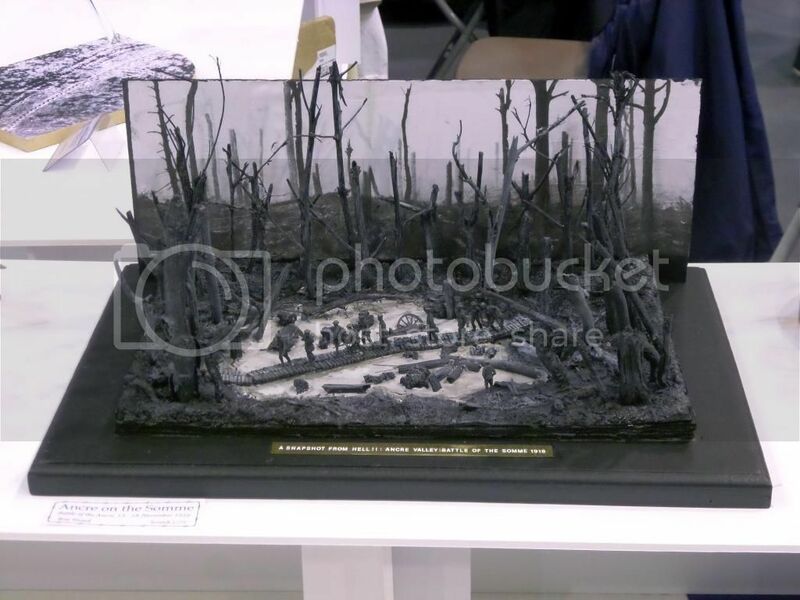 Darren, is there a better/ closer shot of that diorama with the soldiers crossing a bridge surrounded by trees? Would love to see that. Looks like there was a pretty good mix of displays at the show. 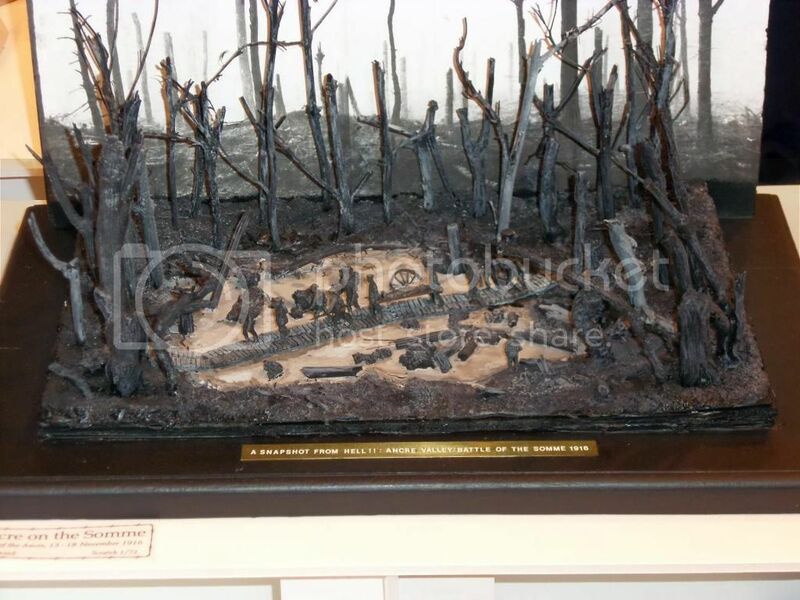 That's an awesome diorama. I had just seen the documentary series 'Apocalypse WWI and this captures the feel of that series perfectly. Thank you for the save Allen and Sam. Thanks Allen. A couple hours after my post I actually found some photos of it on Facebook. hi, just noticed this thread today, very sorry not to see it earlier, thanks for the mention, and the nice photo of my Liverpool Scottish sniper, Paul, British Bulldogs!